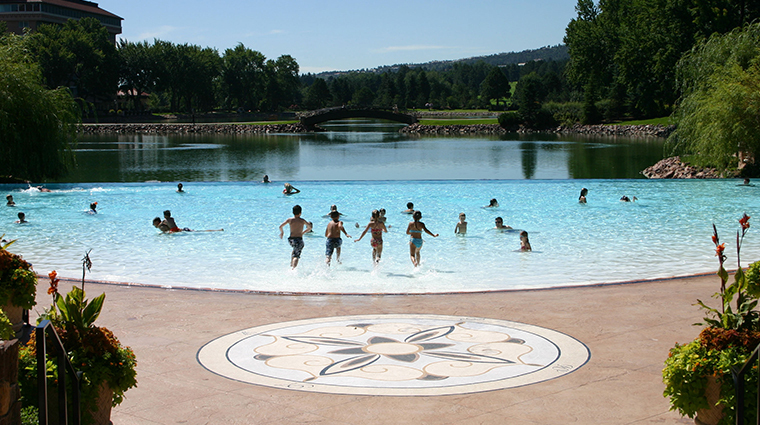 You’ll never be bored at Forbes Travel Guide Five-Star The Broadmoor, with its main campus located on 3,000 acres of property in Colorado Springs. The resort offers tons of activities for its guests, including falconry, pickleball, soaring adventures, world-class golf, paddle boating, swimming, tennis, fly-fishing and there’s even an onsite movie theater. 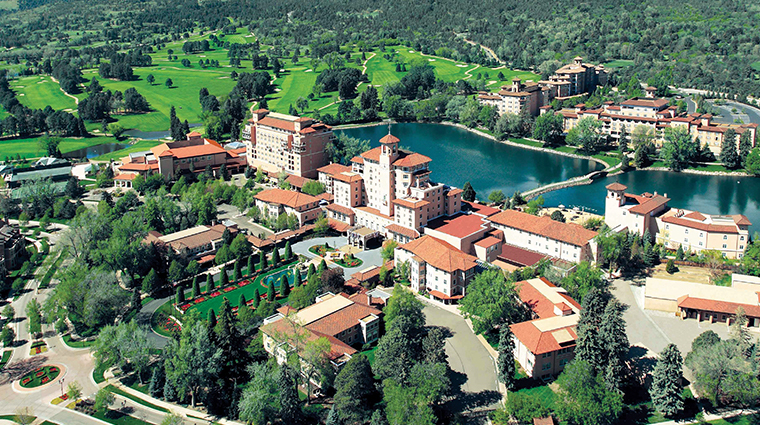 Families will love Play at The Broadmoor, which offers six lanes of bowling under glammed-out chandeliers. 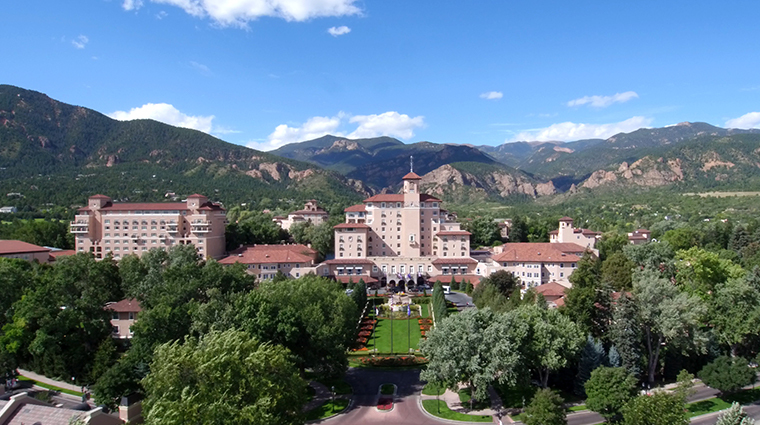 There is excellent hiking nearby — The Broadmoor Seven Falls is a must-visit, as is the famed Garden of the Gods red rock formations — and the luxurious Colorado hotel is also within a few miles of the funky, small art town of Manitou Springs. There is also the Cheyenne Mountain Zoo, originally created by The Broadmoor's founder, Spencer Penrose, a few minutes away by complimentary shuttle. During your stay, you’ll learn little tidbits of the hotel's early 20th century history. For example, when you walk into the original Broadmoor Main building, you'll find an extensive 1,000-bottle collection of Prohibition-era wine and spirits (part of Penrose's personal collection) encased in glass along the walls — a unique display dubbed "Bottle Alley." 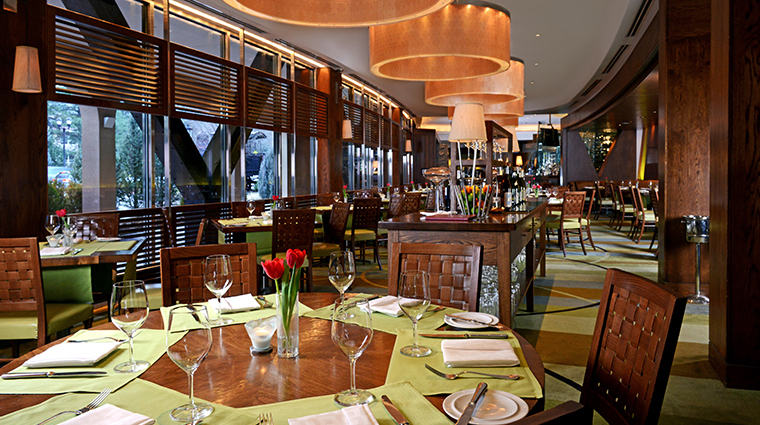 With 20 restaurants, cafés and lounges to choose from, dining options are equally varied. While multi-course extravaganzas at the renowned Five-Star Penrose Room are a must, charming little surprises abound; think s’mores around the fire pit on the patio just outside of the new Bar del Lago in Broadmoor West, or enjoy lively nightly ragtime sing-alongs at the Golden Bee, an authentic 19th-century English gastropub. Take a grand tour of the grounds and its many buildings, and you’ll see and feel the subtle shifts in ambience. 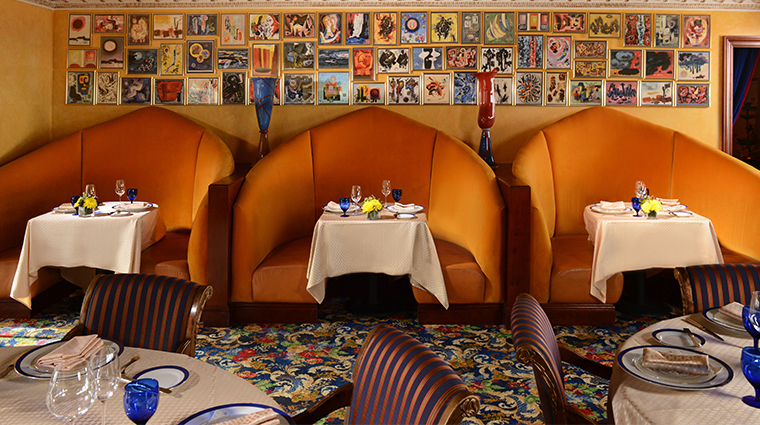 It’s all enhanced by objects d’art from, among other places, the collection of the hotel’s world-traveling founders, Spencer and Julie Penrose, as well as an impressive display of Western art from the personal collection of the current owner. The sparkling Lakeside Pool, graduated along its zero-entry rim from the deck to a depth of five feet, appears to drop off magically into Cheyenne Lake. Of course, there’s a protective railing to ensure swimmers don’t backstroke right over the edge. Guests can take to Cheyenne Lake in paddleboats (two electric boats are also available for those craving a little more horsepower), while the lawn bowling court, adjacent to the outdoor stone fireplace on the cottage grounds, is a well-kept secret. Film buffs can find refuge in The Broadmoor’s onsite movie theater, which screens three recent family-friendly releases in rotation every week. Aspiring painters and photographers can arrange for one-on-one instruction with one of the hotel’s resident artists, just ask the concierge. Don’t forget your walking shoes — you’ve got 3,000 acres to cover, plus an additional 2,000 acres at The Broadmoor Wilderness Experience properties The Ranch at Emerald Valley, Cloud Camp and the Fly Fishing Camp. Sightseeing excursions around the area occur not only on foot, but by Jeep or mountain bike as well. Art and history-focused tours are also available every Tuesday, Thursday and Saturday for resort guests. Parents will applaud this Colorado hotel’s kids’ concierge staff, which is dedicated towards meeting the needs of its youngest visitors. Shuttles to and from Colorado Springs Airport and from Denver International Airport are available through the resort's travel partner, Gray Line, and must be reserved in advance. If you bring a car, you can park in the 950-space garage that’s located directly across the roundabout from the Main Complex for free — valet parking is included for hotel guests. 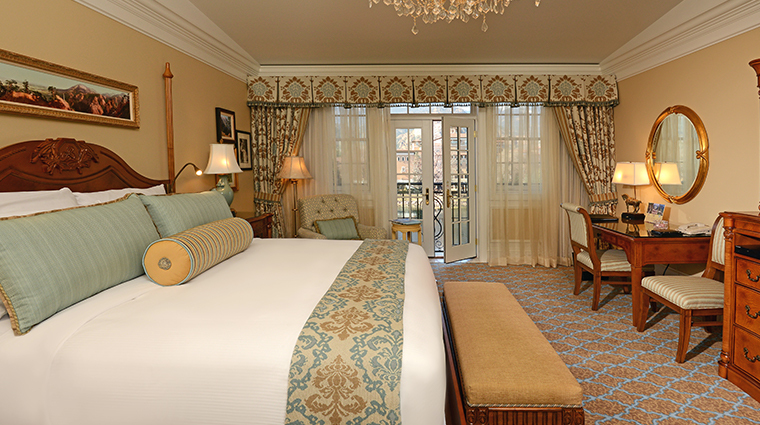 Classic, Superior and Premier rooms of single or double occupancy at The Broadmoor aren’t one-size-fits-all, even within their respective categories. What they do share is the Forbes Travel Guide Five-Star hotel’s grand European style. 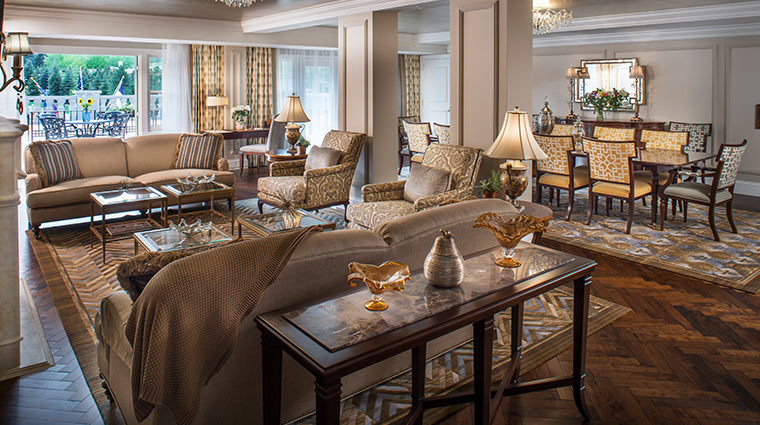 While each structure has its own distinctive personality, the newly refreshed rooms and suites in the historic Broadmoor Main building feature a calming color palette of Colorado sky blue with camel accents, providing a relaxing retreat after a day of adventure. The rooms come chock-full of amenities, including flat-screen TVs with cable and pay-per-view, DVD players, gaming consoles, luxury mini-bars, complimentary high-speed Internet access and the usual vanity-side grooming tools and Broadmoor Signature toiletries. The Broadmoor West premier rooms and suites are considered some of the best because of their views of Cheyenne Lake or the mountains. Many have balconies or Juliet windows. The largest historic accommodation is the Penrose suite, which has a dining room, a formal living room, a glass-enclosed sunroom, three bedrooms with individual baths and spectacular views of the mountains, lake and the city. 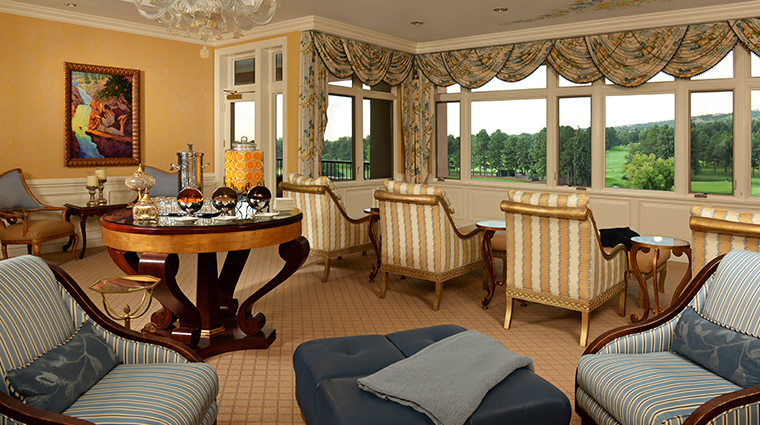 The West Gaylord suite is equally as impressive with its large, outdoor terrace that features incomparable looks to the mountains and the lake. It has hosted numerous famous guests, including Liza Minnelli, Cher, Elton John and Bill Gates. Meanwhile, their differences — while all part of the charm of a historic, independent hotel — may warrant some pre-booking inquiry on your part. Obviously, the more expensive the room type, the more numerous its amenities, but there are quirky exceptions, so reserve accordingly. The Broadmoor’s full-service restaurants include La Taverne (formerly the Tavern), an American steakhouse; the Golden Bee, whose English pub décor comes straight from 19th-century London; the cheery, breakfast-only Lake Terrace Dining Room, which is famed for its Sunday brunch. Contemporary destination Summit offers a unique blend of dishes from the Americas (North and South) while Ristorante del Lago cooks up handmade pastas and fare from all regions of Italy in a beautiful setting reminiscent of a villa on Lake Como. Natural Epicurean features health-conscious dining in a beautiful setting with lots of outdoor seating for fair-weather days and evenings. The Grille serves casual, continental fare with a nod to The Broadmoor classics at dinner and, of course, the Forbes Travel Guide Five-Star Penrose Room is where classic French technique meets global inspiration. 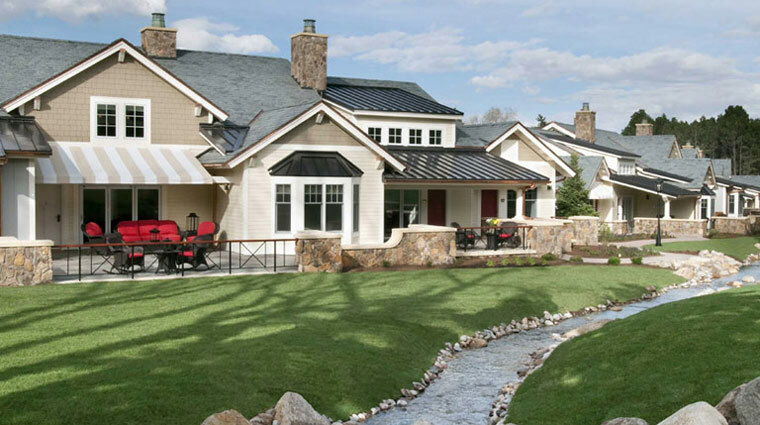 The Hotel Bar and Bar del Lago serve a variety of small plate selections to accompany their beverage selections; both have outdoor seating for those beautiful Colorado afternoons and evenings. Café Julie's offers the perfect perch from which to enjoy signature coffees, espressos, wines and beer, as well as fresh pastries and exclusive handmade treats from the venue's new chocolate kitchen.